HTC once had a custom emoji font that was up-to-date and gave HTC devices a distinct style. It appears those days are over. Back in 2015 HTC devices shipped with custom emoji designs that stood out from the pack. Using an icon-influenced design, some might say these were ahead of their time. While not everyone prefers flat-color designs, at the very least it is reasonable to note that this set from HTC is consistent within itself, and works well at small sizes. Above: The emoji font that came on on HTC phones in 2015 as part of HTC Sense 7.0. “Sense” is the name of the software layer that sits on top of Android on HTC phones. It customizes some apps, some of the user interface, and the emoji keyboard. While Sense 7 had a custom emoji design for every emoji supported in the day, something odd happened with Sense 8. 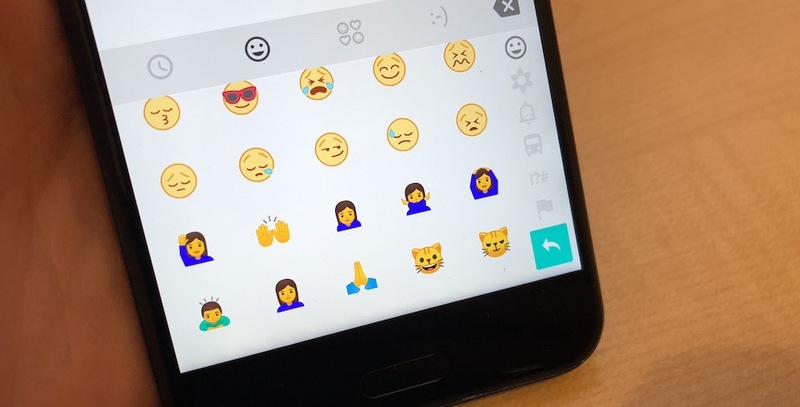 Sense 8.0, released in April 2016, added a few new emojis (namely the new smileys approved as part of Emoji 3.0) but the same update removed 90% of the emojis that previously sported the custom HTC look. For example the 🙈 See-No-Evil Monkey used to show a HTC design but since Sense 8.0 this began showing the design from Google's (stock Android) Noto Color Emoji font. The same with the majority of the emojis previously in HTC's font. Above: The entirety of the HTC emoji font in 2016. All others show Google designs. In retrospect, the release of HTC Sense 8.0 appears to have been the end of the road for HTC's custom emojis. Since this time, Sense 9.0 has also been released as part of HTC's Oreo rollout, and no new emojis have appeared in HTC's font. The HTC “TouchPal” keyboard also appears stuck with none of the Oreo-supported emojis on the keyboard. Users would be advised to install Gboard or another third-party keyboard to access the full range. 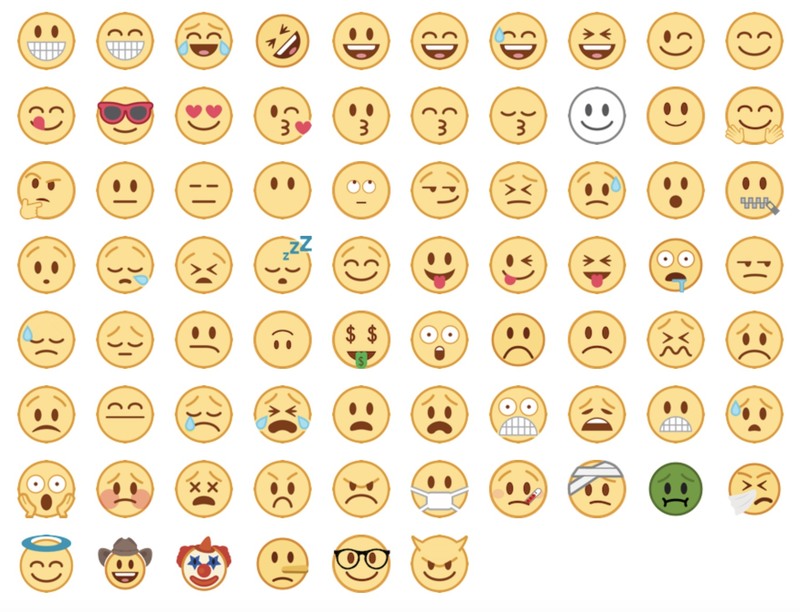 Above: Smileys show with a HTC design, but everything else is straight from Google. When viewing a new emoji such as 🤩 Star-Struck on a HTC device it will appear in Google's design. 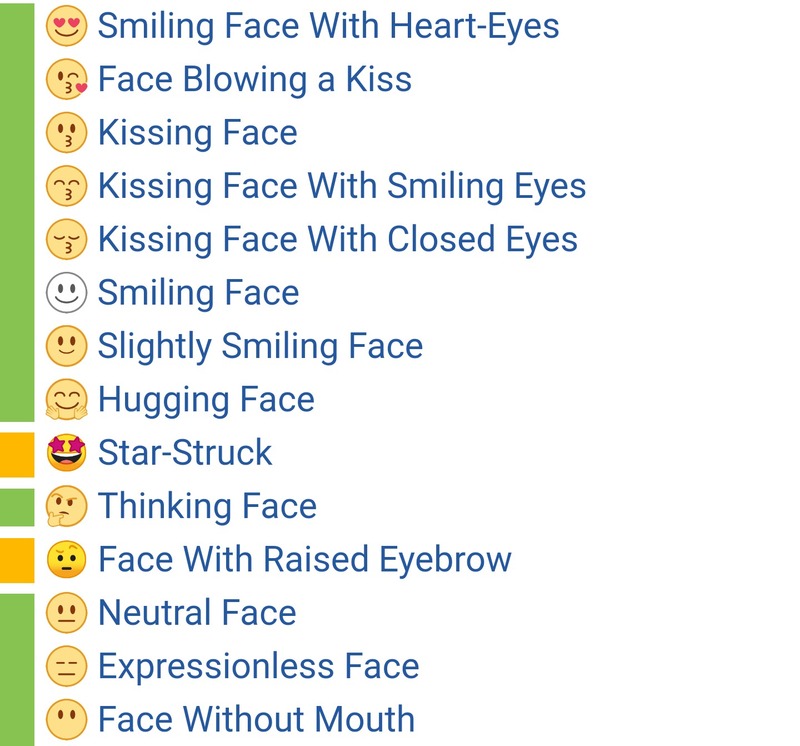 Effectively, HTC's emoji support is now the same as Google's Stock Android Oreo release, but with the pre-2017 smileys (76 of them) using HTC designs. Had HTC continued to add only the smileys to their own font, that would have been one way forward. However given the lack of any new designs in 2017-2018, it would appear that even that approach might not be what is happening. Above: When browsing the smileys on Emojipedia old characters show with a HTC design (highlighted in green) and new characters show from Google (highlighted in orange). Designing and maintaining an emoji font does require ongoing work, and perhaps HTC has decided to focus its attention elsewhere. 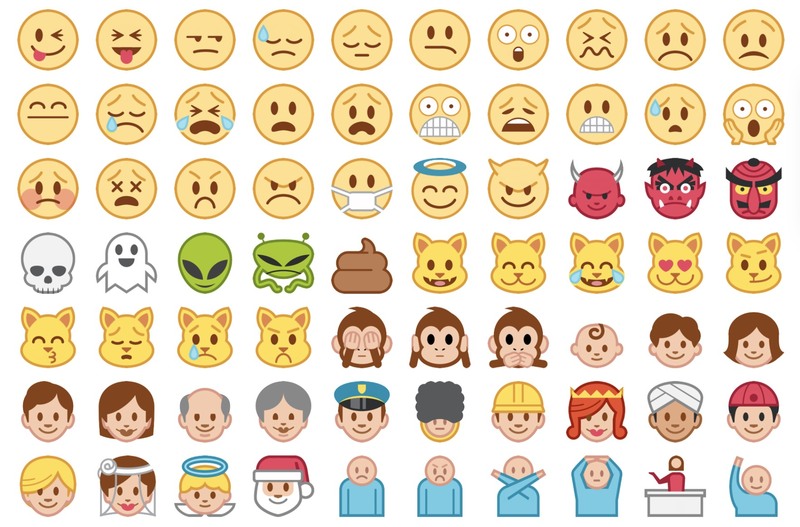 Is this the end of the road for HTC's custom emoji designs? At this stage it sure looks like it. We have reached out to HTC for comment and have not heard back at the time of writing.